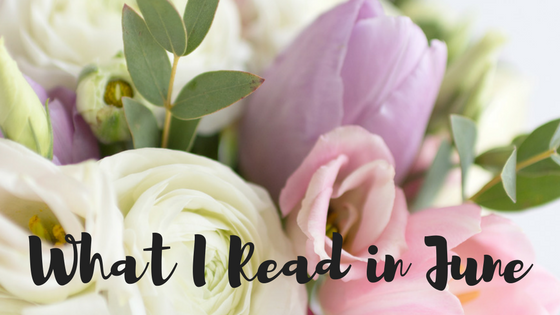 What do you do when you discover that the person you've built your life around never existed? When "it could never happen to me" does happen to you? 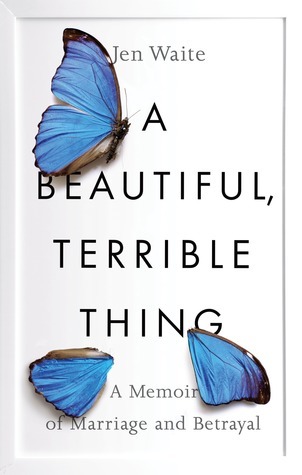 These are the questions facing Jen Waite when she begins to realize that her loving husband--the father of her infant daughter, her best friend, the love of her life--fits the textbook definition of psychopath. In a raw, first-person account, Waite recounts each heartbreaking discovery, every life-destroying lie, and reveals what happens once the dust finally settles on her demolished marriage. After a disturbing email sparks Waite's suspicion that her husband is having an affair, she tries to uncover the truth and rebuild trust in her marriage. Instead, she finds more lies, infidelity, and betrayal than she could have imagined. Waite obsessively analyzes her relationship, trying to find a single moment from the last five years that isn't part of the long-con of lies and manipulation. With a dual-timeline narrative structure, we see Waite's romance bud, bloom, and wither simultaneously, making the heartbreak and disbelief even more affecting. Just beautifully done. It helps that I identified so much with the subject matter of the book. Not that I was married to a psychopath, but I was in a marriage to a person who had a life I didn't know anything about. I could greatly identify with a lot of what Waite goes through in the book and having recently been through my own difficult divorce made it a very emotional read for me. In terms of the writing, I do wish that rather than flipping back and forth between before and after Waite learns of her husband's affair, the book had been divided into two distinct sections. I found the constant switching between timelines to be a bit of a distraction. Other than that, I had absolutely nothing but raves for the quality of the author's writing. Again, identifying with so much of what the author was going through really made this book a winner for me. I devoured it over the course of a weekend and just couldn't make myself put it down. Waite's story is both heart-wrenching and hopeful, which is exactly what I was looking for and really spoke to me and my own situation. I think I would have enjoyed it even had I not identified so closely with the author, but having recent commonalities with her made the book even more real for me. I highly recommend reading this one. It's beautifully done, but you'll want to read it with a box of tissues handy. I've always been obsessed with summer reading and the idea of having a checklist of books to read in the summer while school was out. I loved having assigned reading, but I also wasn't afraid to give myself assignments if I didn't feel like we were being given sufficient reading material to last us the summer. 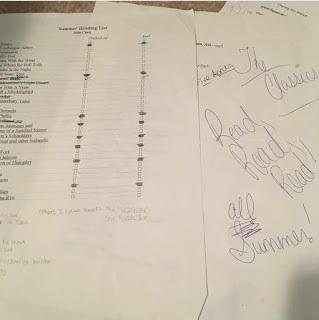 I recently found this self-created summer reading list from my high school days, complete with commentary from my friends, who thought I was nuts for making my own checklist. What do you think? Am I crazy? What would you put on your summer syllabus? Wow. Um, this was bad. Really bad. I hate to just say it that way, but there's no other way to put it. I knew immediately what was going on and who was responsible. I hoped for the entire book that it was a red herring, but it wasn't. It was exactly what I thought it was from the very first page. I was so disappointed. In addition to being absolutely, straightforwardly predictable, the details of the book just don't make sense. It ventures into spoiler territory to say more, but suffice it to say that Paris's characters are dumb as rocks. 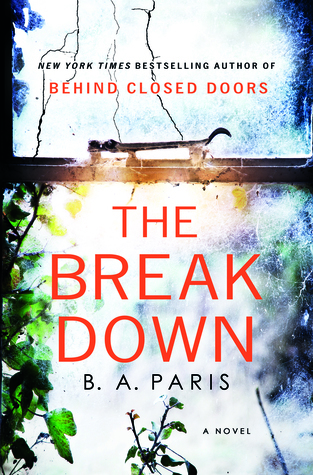 Knowing the whodunnit from the first page kind of ruined the suspense, but even if there was a question of who was behind the threat, the threat itself was so mild that there was no real sense of suspense or terror through most of the book. Cass's fear largely revolves around silent phone calls. We don't get a good explanation for why she doesn't stop answering the phone, call the police to have the calls traced, or just unplug the phone. But when the most threatening thing happening is answering the phone to silence, it's hard to feel like anyone is in any real danger. I was expecting a lot more tension than I ever got. A lot of the book consists of Cass crying and falling to pieces over and over and over. I absolutely don't recommend it. I appreciate NetGalley and the publisher for providing me with review copies, but I was really let down by the reading experience and glad that it at least read quickly and didn't take up a large amount of time. If it hadn't been a fast read, it would have been a DNF. June was such a beautiful month for my family. My youngest brother, the baby of the family, married his college sweetheart in a beautiful ceremony in east Tennessee. We got to see all of our extended family and some Arkansas friends that we haven't seen in years. It such a special trip and such a blessing to add another sister to our family. A lot of people asked me if, given my recent divorce, it was hard on me, but the truth is that Andrew is kind of my pet sibling and I was so happy to see him happy that it wasn't difficult at all. My older brother and his wife and children came and it is always a treat to see them.